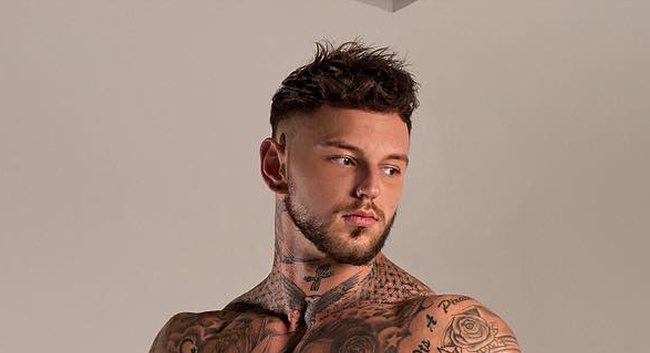 Earlier this month we told you about UK Reality TV star Sean Pratt’s impressive bulge photo which he posted on Instagram. Unfortunately, that photo was deleted for violating “Instagram’s Community Guidelines” – and now Sean is furious, wondering why it’s OK for women to post half-naked photos – but men can’t show a bulge. 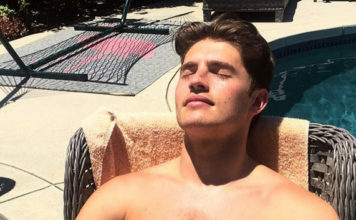 Sean Pratt, a 26-year-old British hottie, was seen on MTV’s Ex On The Beach, a reality show where single men and women get stranded on a beach… with their exes. Previously, Sean worked as a stripper and a naked butler. The “problematic” image was posted by Sean on October 14 – it showed him out and about near his car, with a very prominent bulge in his trainers.